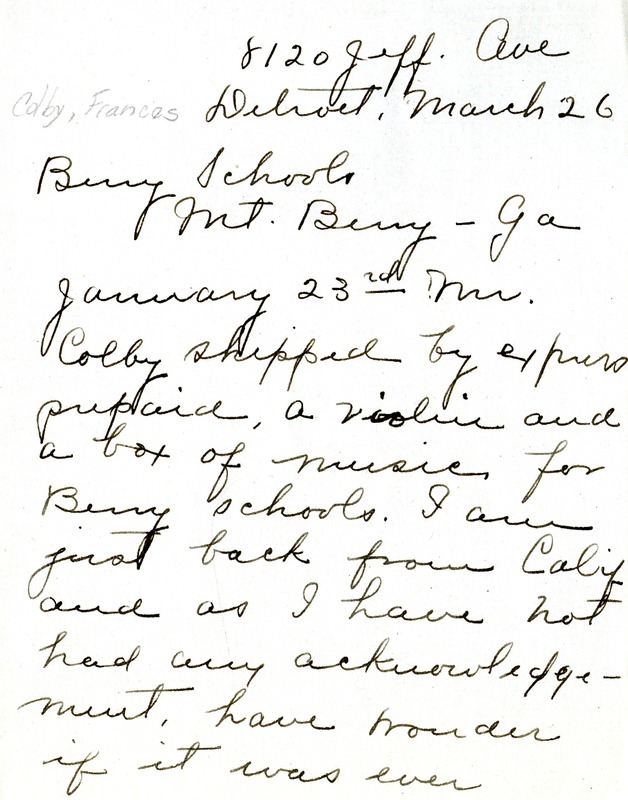 Colby sent a violin and sheet music by express prepaid but didn't receive any confirmation of delivery so Colby wrote to the Schools to ask if they'd received the violin. 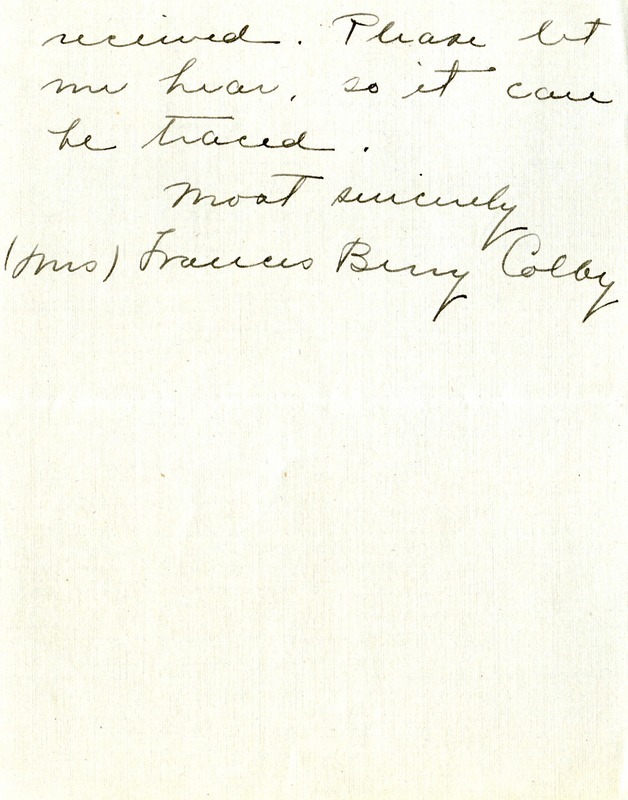 Mrs. Francis Berry Colby, “Letter to The Berry Schools from Francis Berry Colby.” Martha Berry Digital Archive. Eds. Schlitz, Stephanie A., Chelsea Risley, Aaron Jackson, et al. Mount Berry: Berry College, 2011. accessed April 22, 2019, https://mbda.berry.edu/items/show/1032.